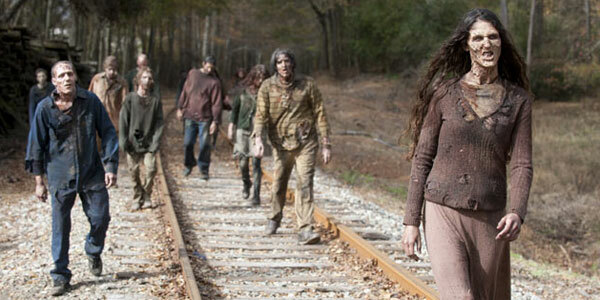 AMC have officially ordered a pilot for The Walking Dead companion series, due to begin production in December. The story will be set in the same zombie, sorry, walker infested world and will focus on new characters in a different location, therefore not technically a spinoff. Robert Kirkman, Gale Anne Hurd and David Alpert are all returning as executive producers with Sons of Ancharcy’s Dave Erickson named as showrunner. Kirkman and Erickson have turned in a pilot script which is said to have “really impressed” the executives over at AMC. I have often wondered about what is happening in the rest of the world as Rick and his frequently changeable band of merry survivors make some really poor decisions in the attempt to survive. I’m particularly curious about whether there is any kind of authority still in tact, whether that be armed forces or some semblance government or whether there are people working towards a cure in a grubby caravan with a severe lack of equipment and an over abundance of walker samples. What would you like to see? The Walking Dead returns to our screens with the series 5 premièring on October 21. What Is The Best Season Of The Walking Dead?